Thursday night was great. I got to chat to my friend Sally Rooney in a Linenhall Arts Centre that was packed full of warm, welcoming people. I’ve known Sally and her family for many years and it all felt more like a nice catch-up than an interview. I really enjoyed myself. 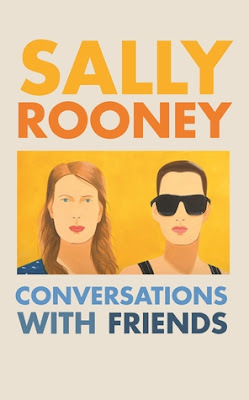 Sally’s first novel ‘Conversations With Friends’ was launched last week. You may know this already because there have been articles and interviews in most of the main newspapers about it and Sally’s been all over the national airwaves, discussing it, and will continue to be for some time to come. So, having mentioned the wonderful evening and the massive attention the book is getting, I’d like to spend the rest of this post on the book itself. I suppose I can’t know exactly for sure how I would have reacted to the book if I had not known Sally. I can be pretty sure, though. As a book lover, I believe I would have loved this book even if I’d never heard her name. It’s beautifully written, you see. Sally has been writing all her life and so this first novel comes with a sophisticated yet natural style which is already fully formed and highly engaging. 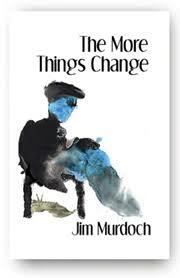 The writing is sharp and spare but never to the extent that it alienates the reader. The central character, Frances, comes very real off the page. Perhaps this is partly on account of the unforgiving mirror she often holds up to herself. Sally brings her natural intelligence and erudition to her writing but those qualities alone would not be enough to make this book. Sally brings a third ‘X Factor’ which younger people than me might tend to call ‘The Feels’. The four central characters in the book are all smart and bright and metropolitan in their way but they all have their doubts, their petty moments, too. They all make their mistakes. I won’t give you a run down of the story. It’s there between the covers of the book. I always think it’s best to wade in knowing as little as possible. See how you go. In certain ways, the book evoked 'Catcher in the Rye' for me. Sally has read her Salinger and, knowing her as I do, I know her fondest regard is for the writing which lies beyond ‘Catcher'. ‘Franny and Zooey’ is a work that I am now resolved to get stuck into, having heard of how highly she regards it. I was also reminded of Brett Easton Ellis in the cleanness of the prose and dialogue and, rather conversely, of Jane Austen in the way human truths are probed with wit and insight within a relatively close knit social situation. I try never to judge a book by its cover but, in the last few days, I’ve been thinking about the reason why I loved my copy of the book more than I loved everyone else’s on the launch night. I was lucky enough to be given a copy of the British hard cover edition with the painting ‘Sharon and Vivien’ by Alan Katz depicted on the front. The Irish edition has a photograph representing the two central characters on a blanket in the park on a summer’s day. Both editions are beautifully produced to the highest standards but I found myself consistently drawn to my own copy rather than the Irish version. This point is not about book covers but rather it is about heightened reality and I only figured this out in the last day or two. Perhaps Sally’s greatest achievement is to create a subtly heightened reality in her novel. A place where everything seems real but which is actually half a degree higher than real. For all the elements of harsh reality and pain in the book, there seems to me to be an overriding romantic ‘air’ which permeate the pages. At the end of the novel, the famous bookshop and the park and Dublin at Christmas time all seem to meld together to evoke an almost Woody Allen-like warmth for the metropolitan existence. There is almost an echo of ‘An Affair to Remember’ as Nick and Frances move across the winter city towards a predestined rendezvous. I think that's why I tended to migrate towards the 'heightened' cover rather than the 'real' one. For me, it reflects more readily the discreet fiction of the story. I’m not trying to ‘solve’ the book or even try to wax clever about it. If anything, I’m just trying to show how I became involved in it. I smirked at it and I winced at it and shook my head in wonderment at it and I closed its covers in shock and then opened them again soon after. ‘Conversations With Friends’ is, to my mind, a very good book indeed and I recommend it to you. It’s something I think I mentioned before. The stories of the world slip past us for the want of a tidy ending or a catchy moral. Things happen almost every day that are a little bit remarkable and worth setting down but they slip through our minds because there is no hook or piece of bubble gum on the end to make them stick there. I increasingly think that stories without conclusions have an important part to play in the memorabilia of our lives. We treasure old photographs but, quite often, they offer no narrative, no punchline, no neat summary. They capture a moment and they stop there. For us this is often more than enough. The snap shot becomes a thing of nostalgia and truth and often great value. Why can it not be that way for our stories too? Yesterday, I ventured out of the office and down to the post box on the corner. Post is quite a rare thing these days, for me at least. Most things go as email and attachments and such. Yesterday’s post could have gone the same way. For some reason, I felt like a bit of printing and signing and enveloping and stamping. No idea why. 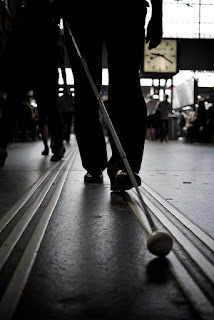 On the way to the post box, I spotted a blind man some distance up ahead waiting to cross over the street to my side. I did a quick assessment of whether I could be of any value to him and just as quickly decided that I couldn’t. I knew him from around the place and he was pretty nifty with his long white cane. He didn’t need me and any intervention on my part would have been more around me feeling good than him being assisted. As I came on up the street, he got the green on his pedestrian crossing light and rapidly came across. He then started working his way up the edge of the shopfronts, tapping and brushing his way along. As he approached me, he also approached a point where a building kicked outward into the pavement. He came towards it at a pace and I again debated intervening. But, no, the tip of the white cane found the jutting-out-part of the stone, a neat correction was made, and on he went. A tall rangy middle aged man, making his way. At the post box, I checked that everything was right with my envelopes and posted them into the green pillar box. On my way back, I almost caught up with the blind man again. He was turning into the alleyway where my office is. As he turned, a father gently held up his daughter’s progress with the palm of his hand. The girl was about seven or eight and she watched with active interest as the blind man made his way past them and on up the alley. The blind man had progressed a little further up the alleyway but he obviously heard the words because he stopped suddenly. He didn’t say anything, he just stood there until the man and his daughter caught up with him. I had almost caught up too. The guy knew when father and daughter were beside him. “Would you like to try my cane?” he said. The little girl was understandably hesitant. It might not even have been entirely clear to her that she was being spoken to. If the father had not been so relaxed and open to the interaction, it probably would not have happened. But it did. Slowly, so slowly, the little girl reached and took the end of the cane. Both men smiled. Quickly, trusting now, the little girl did just that. Quickly, almost instinctively, the dad took a step back to increase the challenge a little. The girl swept the can around and almost immediately connected it to her dad’s knee. “There he is!” she shouted and everyone, myself included, smiled.